In March of 2008, the U.S. Supreme Court validated the State of Washington’s nonpartisan “top two” primary, upheld against a challenge brought by the Republican Party. (Washington State Grange v. Washington State Republican Party, 552 U.S. 442, (2008). Within days, David Takashima, then Executive Director of the California Independent Voter Project (now Independent Voter Project, IVP), former State Senator Steve Peace and Peace’s former Chief of Staff, Dan Howle, met with Steve Merksamer, former Chief of Staff to Governor George Deukmejian, to discuss drafting a California measure based on the Washington model. It was not their first meeting. IVP had been working with Latham and Watkins attorneys in preparation for a June 2010 initiative for years. And, one of Nielsen Merksamer’s clients, Charles Munger Jr, was privately working on his own version of an open primary. Merksamer needed a conflict waiver from Munger to allow his law firm to join a legal team being assembled by Peace, Takashima, Howle, and IVP. In the summer of 2008, Nielsen Merksamer joined the legal team that also included litigators and constitutional specialists Edward Shack, Rick Hasen, and Jim Sutton. The final member of the legal team ultimately proved to be the most important, former Assembly Speaker Willie Lewis Brown, Jr. In all, CAIVP would pay $723,902 combined to Latham and Watkins and Nielsen Merksamer, and another $100,000 to the litigation and constitutional specialists. Chris Skinnel, of Nielsen Merksamer, assumed the principal drafting responsibilities for the implementation statute. This was a complex and delicate challenge because, while the court already ruled favorably on constitutionality in the Washington case, powerful partisan opponents from both parties still had the right to make “as applied” challenges in Washington or in any state that might follow. The drafting of the Constitutional Amendment itself was far less legally complex. But, it was politically challenging because the need for “plain-speaking” seemed often in conflict with meeting difficult legal standards. Ironically, after weeks of meetings and exchanges of drafts, at the suggestion of Steve Merksamer, the task of drafting the Constitutional Amendment language went to one of two non-lawyers in the room, Steve Peace. In October 2008, the Constitutional Amendment and an implementing statute were both publicly submitted to the Attorney General for title and summary. The submission was accompanied by a press release, notification to both the Legislature and the Governor’s office, and an invitation to the public to make comment and recommendations. At the time of submittal, IVP also announced that it intended to exercise its one-time right to pull the language back and then re-submit an amended version in order to allow an opportunity for suggested changes to be accommodated in the final ballot measure language. About two weeks after the IVP submission, an initiative copied directly from the Washington model was defeated on the Oregon Ballot, despite earlier polling that had predicted a comfortable victory. IVP, as promised, exercised its one-time right to pull back the initiative language to “amend and correct.” By this time, IVP had a list of possible changes, a few technical from lawyers, but most from members of the public who had responded to the IVP outreach. But, primary on the minds of the sponsors was now the need to remedy the single issue that had led to the Oregon defeat. Oregon, like California, had a voter registration history fundamentally different than the State of Washington. Voters in Oregon and California (even in the days of blanket primaries and partisan “open” primaries) had always declared party “affiliation” at the time of registration. Voters in Washington, by contrast, never declared a party affiliation at the time of registration. Capitalizing on this difference, an Oregon union ran a clever, if deceptive, last-minute campaign to convince voters that Prop 65 was actually a scurrilous plan to allow candidates to “hide” their party affiliation from voters. Such a campaign would have fallen on deaf ears in Washington, but in Oregon, where voters (like in California) were accustomed to being required to disclose party affiliation, the deception had traction. The challenge now was to avoid this political trap in California. Doing so was, without question, the most delicate drafting assignment of the entire effort. It was the moment that justified the heavy investment in a broadly experienced team of lawyers. The key legal difference: “party affiliation.” Any re-introduction of party affiliation to solve a “political” problem would lead IVP into an “as applied” constitutional legal trap. Put simply, a “nonpartisan” Top Two (or for that matter, Top 3 or 4 or 5) system was constitutional. A “partisan” Top Two system was not. IVP lawyers had to preserve the primary as a public “nonpartisan” system and any provision for political party “affiliation” or other political party interests created litigation risk. The solution came out of marathon meetings and ultimately from the pen of Chris Skinnel. The issue for the voters was “disclosure,” not “affiliation.” And, the attack campaign was about candidates “hiding” information, not about forcing voters to disclose personal information about their political party preferences. The new draft adopted the Washington system of “non-affiliation” but allowed voters the choice to disclose their “preference” of political parties without any obligation to affiliate with or join a political party. This is the reason for the term “No Party Preference” taking the place of “decline-to-state.” It was a critical legal distinction (despite meaning nothing one way or the other to the public). In order to ensure that candidates were fully transparent with the voters, the implementing statute was amended to require the Secretary of State to publish the previous 10 years of every candidate’s party preference history. The re-drafting was completed and the two documents were ready for re-submittal to the Attorney General. But, Charles Munger, Jr. was still working on his own version of a Top Two primary. Steve Peace had previously scheduled a lunch meeting with Dr. Munger in Palo Alto and suggested that IVP hold on resubmitting the initiative until the following Monday. Senator Maldonado had leverage. He was willing to vote for a state budget that his fellow Republicans hated. The governor and the Democrats needed his vote. As a long-time Chairman of the Senate Budget Committee, Peace knew instantly what was going on. He was accustomed to both Republicans and Democrats leveraging their budget votes for spending in their districts. He could not, however, recall a Senator willing to use such leverage to give voters a right to vote on a broader public policy issue. Peace was impressed. And, he saw the cost-savings of forgoing petition gathering as creating the funding necessary for a critical voter education program. Those telephone calls started a flurry of activity in Sacramento. But, they also changed the direction of the lunch conversation in Palo Alto. Peace laid out the larger IVP plan to Dr. Munger that had begun in 2006 when Peace called two of his former Chiefs of Staff and asked them to help him with a new project. But, more fundamentally, Peace argued that social change and technology would eventually combine to re-define the role of political parties, diminish the power of political propaganda, and ultimately put a premium on information. “People are going to have access to original source material. Eventually, the partisans will burn them out on spin,” he said. 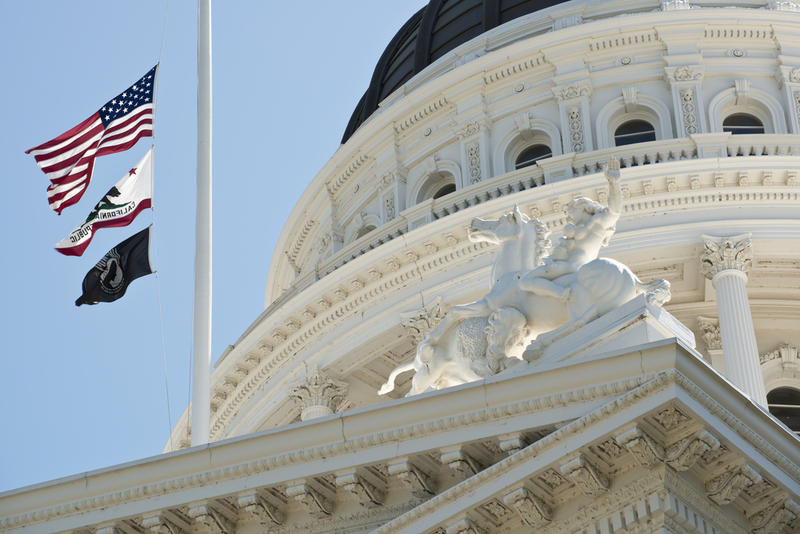 Takashima and Howle both felt a strong desire to do something that would improve the bitter partisanship that had reduced the California Legislature in stature and relevance. They had been part of its best times. They knew the difference. They were also experienced political campaign veterans. They knew that it was the incentives built into the political process that was driving hyper-partisanship and driving down voter participation. Peace’s contrarian views about a less vitriolic future political climate weren’t new to them. But, they shared the hope. They tossed around several ideas, changing term limits, redistricting reform, campaign finance reform. But, all three had strong, even nostalgic, feelings about open primaries. Peace had been one of only two Democrats who supported the 1998 Open Primary Act passed by the voters but overturned by the Supreme Court. They all knew that most state legislators and members of Congress feared being challenged in closed, low turnout primaries. By contrast, almost none of them ever faced any competition in a general election when most people voted. Willie Brown and Steve Peace had many disagreements over the years; however, one thing they agreed on was that the Legislature functioned more responsibly under the Open Primary rules. What was needed was a “voter” nominated primary, where the right of private association belonged to the voter rather than the political party. Takashima agreed to take the lead as Executive Director and with donations from Peace, John Moores, and revenue from IVP-sponsored conferences, the effort started years before the legislature would place Proposition 14 on the 2010 June ballot. IVP completed extensive research over two election cycles, 2006 and 2008, focused primarily on “decline to state” voters. That research led to the simple discovery that issues affecting the right to vote mattered to “decline to state” voters. And, more importantly, contrary to what political insiders believed, it mattered a lot. Takashima and Howle then outlined a voter education plan already developed by IVP. It was not a plan to urge a yes or no vote on any candidate or measure or elect certain kinds of candidates. But, it had a target audience of over half a million independent voters who had a history of voting in general elections, but not voting in primary elections. These were intelligent and engaged citizens who made the rational choice not to participate in June primaries because they understood that, in fact, their vote did not matter in these primaries. There were no candidates on their primary ballots. The only time they would consider voting in a primary was if there was the occasional ballot measure that got their attention. If independent voters, who typically never voted in primaries and were therefore always ignored by every campaign, simply knew that there was a measure on the primary ballot that was about their right to vote, would they vote? IVP research said, yes. And, Dr. Munger agreed at that café table in Palo Alto to join those funding that education program. Two final chapters in the Proposition 14 drama would unfold before the voters would get their chance to weigh in. First, the Assembly leadership, unburdened by the Senate’s need for Senator Maldonado’s vote, immediately took up the cause of undermining the initiative. The Assembly Speaker, following the counsel of his political advisors, insisted that the measure be put on the June ballot. When Peace learned that the Governor would insist that the measure go to the November ballot, he called Susan Kennedy. He had worked closely with her when he was Director of Finance and she was Deputy Chief of Staff under Governor Gray Davis. The Governor politely gave way to the Speaker’s insistence that the initiative be put on the low turnout June ballot. A collection of long-term relationships between an older generation of Republicans and Democrats, all of whom were participants in and beneficiaries of a broken system, had stitched together an informal coalition (most of whom understandably chose to remain anonymous) to give the voters an honest chance to beat the most powerful institutional forces in the political system. But, the Speaker’s staff and the lawyers for the legislature had one more trick up their sleeve. In the dead of night (or more literally late one Friday afternoon), lawyers for the Legislature were in a Sacramento courtroom “agreeing” to a change in the ballot’s title and summary. Technically, all the “parties” (irony noted) were present because it was the Legislature, not IVP or Abel Maldonado, or the Governor, that was the legal party placing the measure on the ballot. They quietly arranged for a friendly labor union to “object” to title and summary, rewrote both, and were now in court to “validate” the settlement. IVP learned about this because third-party activist Richard Winger bragged about it while commenting on an IVN.us article. It was at this moment that the sponsors learned the benefit of having Willie Brown on the team. Within an hour, the Senate was “made aware” that the court was being told that a process only possible under authorization of the Joint Rules Committee had been presented to the court. The Chairman of the Joint Rules Committee, one of the few members of the Assembly who supported Open Primary, disclaimed any knowledge of authorizing a settlement. And, Legislative Counsel began dribbling all over themselves trying to explain exactly where they got the authorization to be in Court. By Monday, the Judge was informed of all of the above and allowed Niesen Merksamer, representing IVP, to join in the proceedings. The Judge heard testimony, rejected the bogus settlement, and took the matter under consideration. The final ruling made some changes in both Title and Summary. Ironically, polling would later show that the Court’s title and summary polled better than that which was written originally by IVP lawyers. In June of 2010, thanks in no small part to the highest primary turnout of independent voters in California history, Proposition 14 passed by about 400,000 votes. In truth, its authors were a generation of Capitol politicians and staffers, Republican and Democratic alike, who sincerely wished for a better future for those that follow. Want to follow more real news on election reform? Check out IVN's electoral reform coverage.